It’s becoming ever more popular for laptops, ultrabooks, and tablet PCs to come with either a SIM card slot or an embedded sim (eSIM) for mobile broadband. 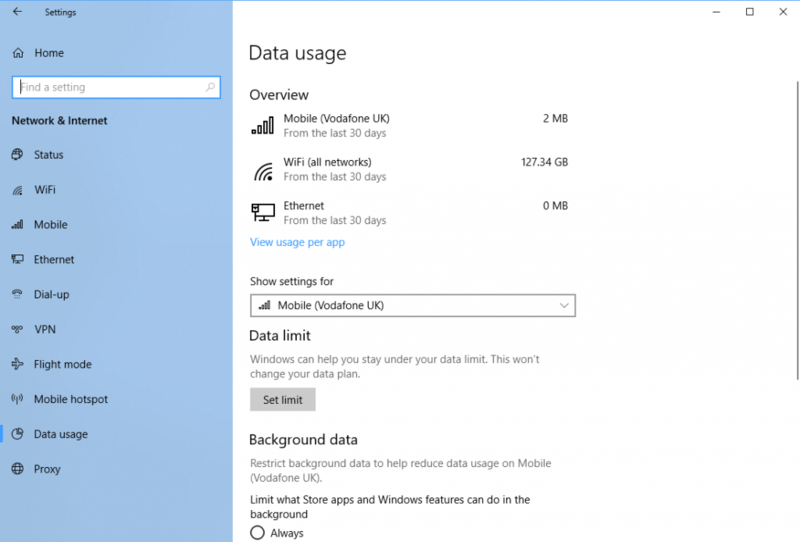 Cellular data can be expensive though, especially if you travel abroad, but Windows 10 makes it simple to manage to manage cellular data on your PC. You can connect to, or disconnect from a cellular network in the same way you connect to Wi-Fi networks. If cellular data is available to you it will be displayed in the network connections list. You can access this by clicking the network icon in the system tray on the right end of the desktop Taskbar. Note that you may need to click the reveal (^) icon in the system tray to reveal the icon if it is hidden. 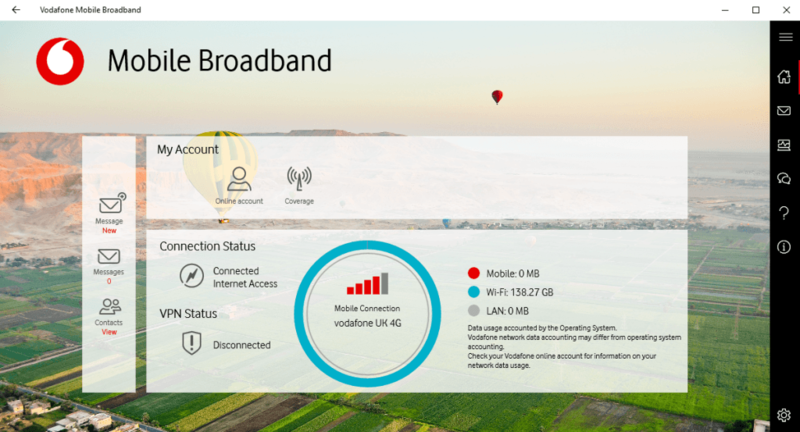 When you open Settings you can click Network & Internet to see and manage the current status of your cellular and other types of network connection. Click the Change connection properties link to see the options available to you. In the Show settings for drop-down menu, make sure your cellular connection is selected. Below this are the options you can configure to manage your cellular data. The Data limit option allows you to set a maximum amount of data that can be used each month, or for a one-time period of days. This will disconnect cellular data when the limit, which you can set, to prevent you from going over your cellular data allowance. Additionally you can restrict Background data, which is used by apps and Start Menu Live Tiles to allow them to update themselves in the background. The Restrict background data when roaming will prevent all background data when your PC is roaming on another network. Opening Settings > Network & Internet > Mobile (sometimes called Cellular) will display additional options, such as disabling data roaming completely. 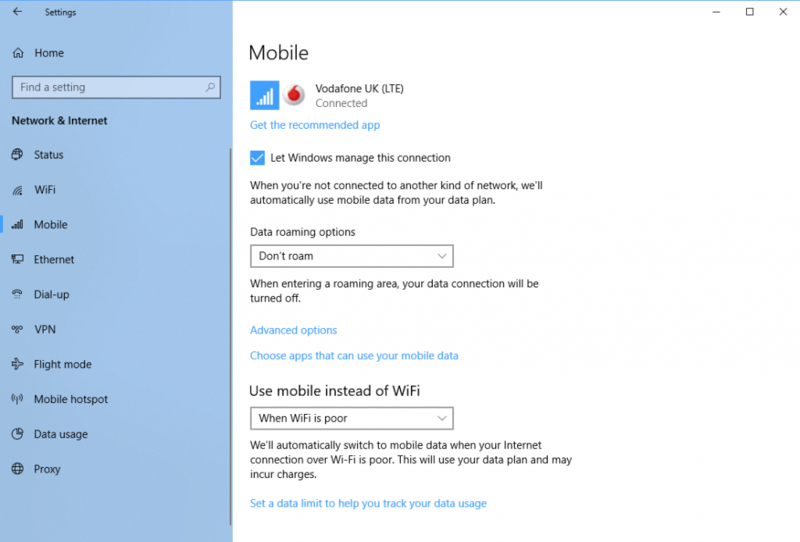 Windows 10 will automatically prioritise a Wi-Fi connection over a cellular one but a handy option allows you to Use mobile [cellular] instead of Wi-Fi when the Wi-Fi signal is poor. This will use cellular data, but can really help you stay connected when you need to. Many cellular packages also come with their own app, either downloaded from the provider’s website, ro from the Microsoft Store. These apps can contain additional functionality for managing your cellular data, as well as providing quick and easy tools for purchasing more data, and managing your data plan. 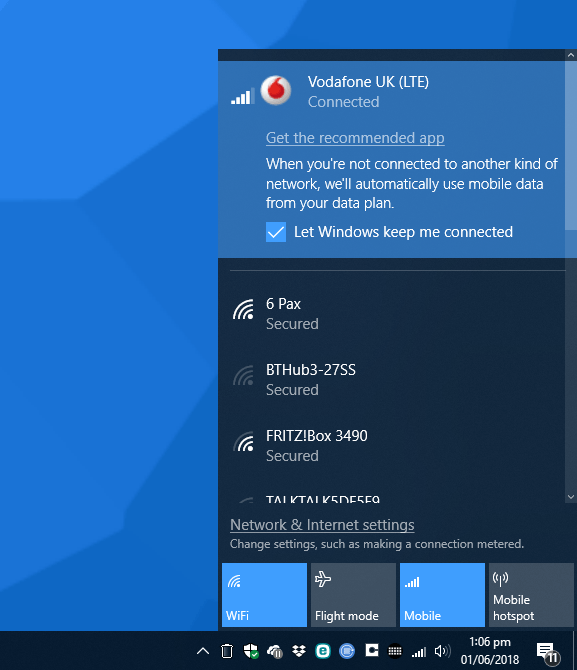 In Windows 10, Microsoft have made it easy and simple to both use, and manage a cellular network connection, so you can stay connected whenever you are, whenever you need to be, and not have to worry about running up expensive roaming charges.